it's a wet Sunday afternoon here, so what could be better than delighting in a little bit of summer?! take at look at these lovely examples. Oh, they are just all SO delicious, don't you think?! Karen's background is in graphic design and fine art. She is a graduate of Ringling College of Art in the USA and she lives in Orlando, Florida. 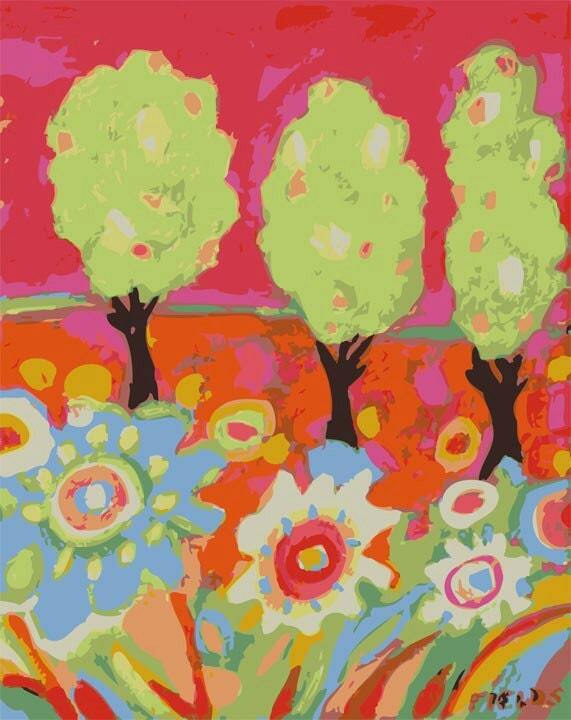 Her colorful, bold flowers, landscapes, and abstract paintings are collected internationally. Okay, for me now, it's time to go off and make towers and things out of 'Duplo' with Mr.4 !! Hope you enjoyed this colourful interlude and introduction to Karen Fields.